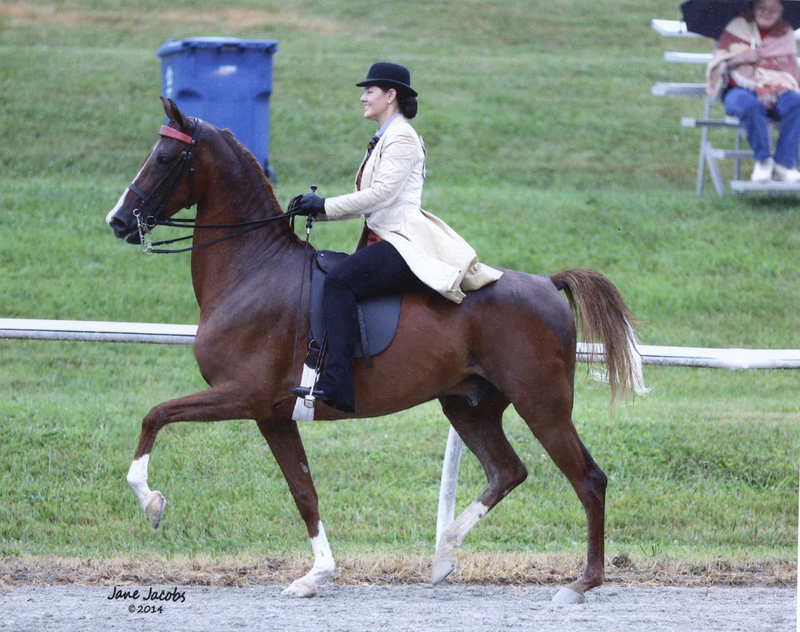 A REAL SADDLEBRED HORSE SHOW. With ONLY American Saddlebreds, with saddlebred knowledgeable judges, and world champion trained horses as competition. And rain. Let’s not forget the rain that soaked the entire show. But, we show in the rain. We go regardless and we make it happen. Anyway, the Franklin County Fair was a HUGE step for us, to move into competing in a breed specific show, and we realized that we actually DO belong. Maybe we aren’t quite perfect, but who is? At any rate, we were “stabled” (read: parked, since there were no stalls) two trailers over from World Champion horse trainer Melissa Moore (who also had a horse in BOTH of our classes). We could not be more proud of how Fizzy did, even despite all the faults and errors. First of all, he cantered BOTH LEADS correctly. Yes, he may not have taken them perfect every time, but he did it, without backing up, without cross cantering, without being fussy when asked to stop and try again. He did it. He may not have walked perfect, and he may not have backed perfect, but those are things that CAN be worked on and we CAN go back to another show and try again. If we can fix the bigger issues, we can most certainly fix the smaller ones. Looking forward to trying again!! !